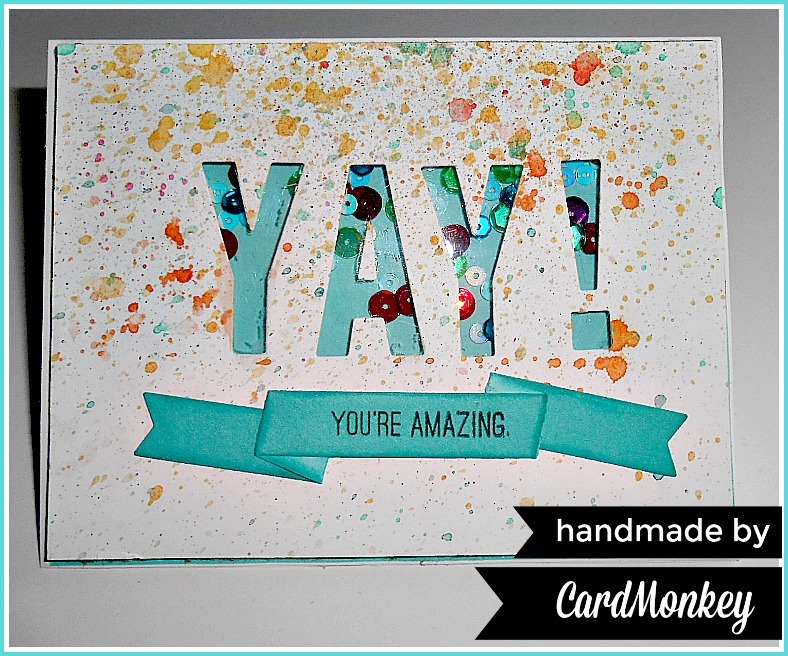 CardMonkey's Paper Jungle: YAY! I'm Baaaack, with a fun card! Long time, no see! So very much has happened since my last post too long ago. Without belaboring it too much, let me just say that in 2017, hubby John and I both survived life-threatening health issues, so social media had to take a backseat. Also sharing that backseat were my card classes. But we're baaaaack, and I am truly going to endeavor to make this blog better than ever. Thank you for finding me again. Without further ado, let's get to the business of today's card! In April, I'm going to be making cards that feature some of my favorite things from the current Close To My Heart's (CTMH*) products. Many of these will be retiring in July, so please don't hesitate to buy those you'd like to use in the future. Yes, a new Annual Inspirations catalog will be introduced at the CTMH Convention, June 28-30 in Las Vegas! I made this card today to celebrate coming back and resuming this blog. I really missed it, and you! And also, cardmaking, for it's my therapy. My mood is often reflected in my cards, and today, I'm feeling it. You know ... it! So to make this card, I first created the lively background by first splashing Close To My Heart's (CTMH*) White Daisy cardstock with colors from the CTMH Watercolor Palette, using a CTMH Waterbrush (medium) and an old toothbrush. Let the paper dry; you can hasten this by blowing it dry using a CTMH Craft Heater, or a hairdryer. Trim your paper down to fit an A2 card -- I cut it to 4.0" high x 5.25" wide. Now here's the fun part -- making this into a "Shaker Card," with sequins inside to add to the party! Using Cricut's Design Space software and cutting with my Cricut Maker, I made an A2 card frame that is 1/2" wide around the perimeter. For this card, I wanted the cardboard to be about 3 layers thick, so I made the file to have three copies of the frame. Here is the file for you to download and use as you wish: https://design.cricut.com/#/design/88985193. 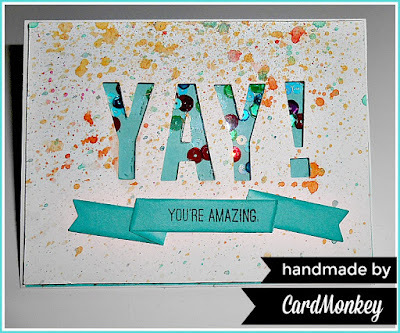 I covered the base of the card with the light side of CTMH's unique two-toned cardstock; I used Lagoon. 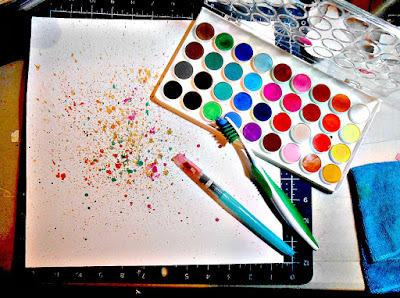 Next, add a layer of multi-colored sequins -- enough to be happy, not so much to suffocate, right? Put a layer of glue all around the perimeter and affix the stacked layer of cardboard/acetate. Now, add your painted/cut piece with YAY! on it. I also added a CTMH Title Banner below the "YAY!" (optional) to balance the die cut. You could also just stamp, "Congratulations," or more -- even "Happy Birthday", Happy Anniversary, etc. Don't you just love an all-purpose, fun card? Proud to be an Independent Consultant for Close To My Heart, and the Manager of its Paper Jungle Team. Ask me how you too can join CTMH and my team, and earn discounts on the products you purchase. I am also happy to come to your home to host a CTMH Gathering and personalized card class, for those local to me in southeastern Pennsylvania! Contact me at cardmonkey@comcast.net. Darling card! Great blog post! Beautiful job, love the sequins! SO good to see your happy face meet me when I came here, I'm so happy to hear you are (both) in good health and raring to go. It certainly shows in this fabulous card. Welcome back! Such a cute card! 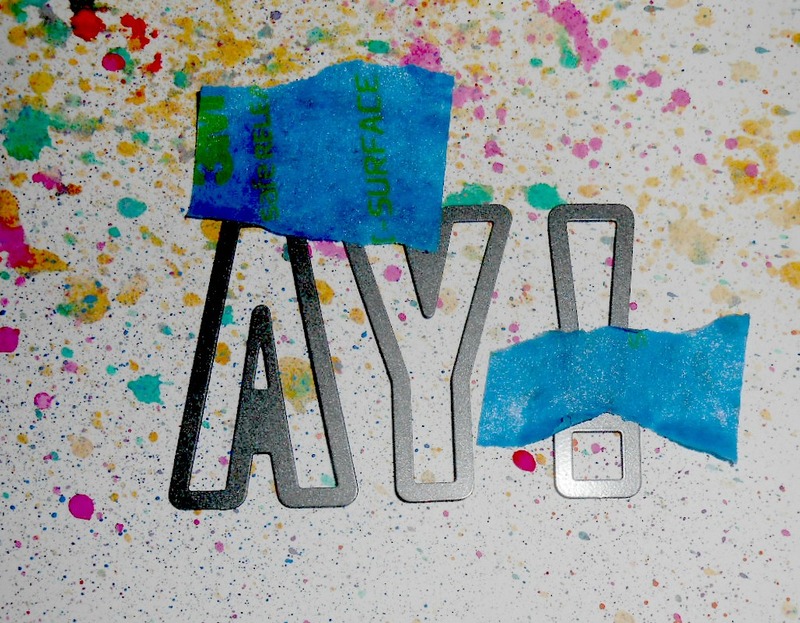 Personally, I use Washi Tape to secure my dies to the cardstock. I keep a roll of the wide in the Washi tape dispenser (Z2052).